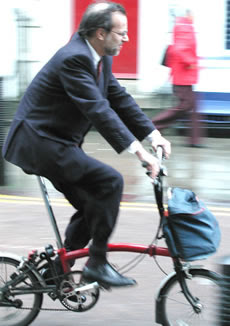 I have to admit that, while I can appreciate their practicality, Brompton bikes have never done it for me. 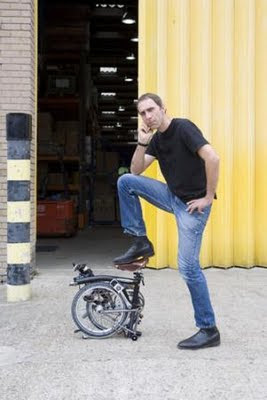 The idea of a genuinely stylish folding bike does appeal - fingers crossed Dominic Hargreaves can get his 'Contortionist' bike into production. In the meantime, novelist Will Self made a pretty good case for the Brompton in the Independent last year. If you're looking for a folder that can handle anything (and that you don't have to ride in a suit, although you can) you should check out Montague folding bikes. These are full-size folding bikes that can take on pretty much anything. I've got one of their mountain bikes, and it's just awesome.